Everyone in the room turned to me, and I had the uncomfortable feeling of being caught in a floodlight. "Uh, right. Well, first, I didn't realize it was illegal gambling." Agent Bonner frowned. "Gaming is only legal when authorized and regulated by the state of Nevada." "I'm not a lawyer or a federal law enforcement officer, Agent Bonner," I said, trying to keep my voice steady when inside I was trembling, remembering how it felt when I'd been interviewed by the FBI after my arrest. I hadn't done anything wrong but still ended up on trial for fraud. No matter how hard I focused on the fact that it had been more than a year since I'd been acquitted of those charges, having three FBI agents and a Nevada state agent staring at me still made my heart skip erratically. Dottie and Max both shook their heads in Gail Bonner's direction, urging me to volunteer. "I'll do it," I said. I smiled back. "If Jake goes with me." Bethany rolled her eyes. "How are you going to swing that?" "She'll just say Jake's her boyfriend," Gail said. "No problem." "Uh, actually, Carly thinks I have a boyfriend. A different boyfriend," I said. Jake glared at me across the table. "Why does she think that?" "She saw me with Quinn and jumped to a conclusion, and I didn't correct her." "No problem. We'll have Agent Boylan go in with you as a friend," Gail said. "Ugh. No," Bethany and I said in unison. At least we could agree on something. "Oh, get over yourselves, ladies," Gail snapped. "Fine. Mr. Emmerson, I need a room for Agents Barnes and Boylan. Make it a honeymoon suite." I pushed the door open all the way, so we wouldn't be crowded around the doorway. "Jake, I'd like you to meet my good friend, Quinn Bishop." Jake stepped into the room and shook Quinn's hand, and the two men sized each other up. I'd seen something like it once in National Geographic. If my recollection was correct, any moment now, one would lower his head and charge the other. Another flicker drew my eye up, but this time it was a flash of light, not the slow sweep of a flashlight. This was more like a camera flash. Or a lighter. 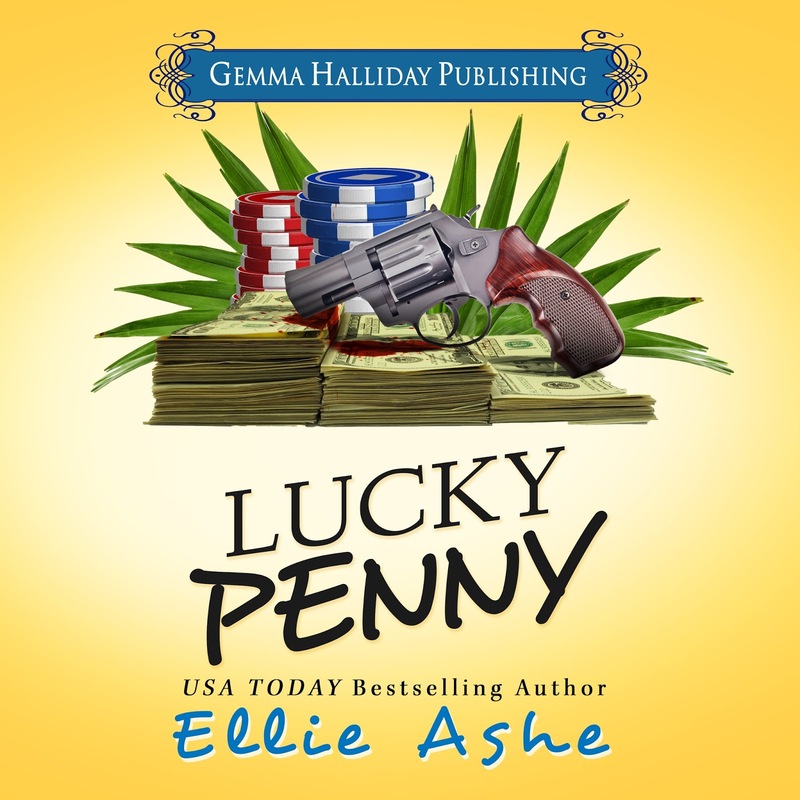 Moments later, a warm breeze caressed my face and carried with it an all-too familiar scent, wafting from the direction of the Lucky Penny. I turned to Jake to see if he noticed it too. Jake nodded, put a finger to his lips and kept my hand in his grip. And then he continued up the stairs. Oh God, what are we doing here? My thoughts raced as we hit the second floor, a wide expanse of dusty carpet upon which footprints led to one side of the balcony and then back across to a hall. The sign over the entrance said that shops and restaurants could be found down the wide and darkened path. And from the trail of footprints, so could our intruder. "Stay behind me. Stay close," he whispered and started down the hall, hugging the wall. Oh Ellie Ashe - you saved the best for last! The Miranda Vaughn Mysteries are on a roll - Lucky Penny had to be my favorite of all three stories. Miranda and Jake are finally making headway. The mystery storyline is excellent - clever and fast paced. The love triangles, manipulations, misunderstandings and moments of pure hilarity are so very enjoyable. Terri Schnaubelt does a spectacular job once again, capturing the characters and relating with great pace and pitch the story as it unfolds! She will forever be the voice of Miranda in my head. While I wholly endorse this 3rd book, read them all in order for maximum enjoyment - they are well worth it. 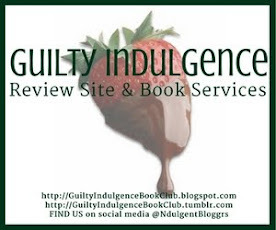 I give Lucky Penny, (Miranda Vaughn Mysteries, Book 3), 5 Chocolate-Dipped Strawberries. This book was given to us by The Audiobookworm for an honest review.